Could you please PM me your account number, and I will look into your issues personally. 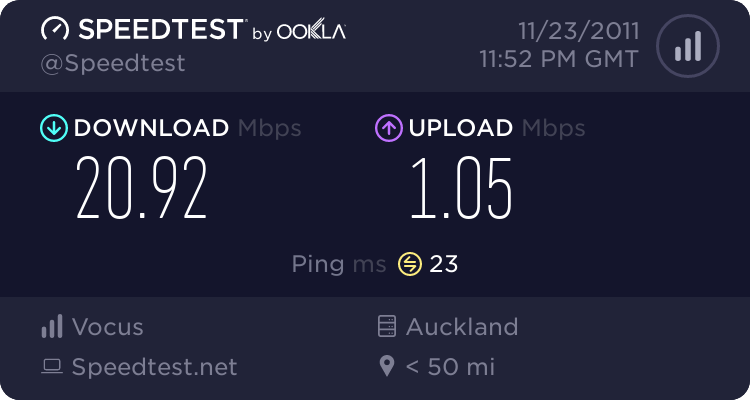 The speed is very slow and the internet is only working under G.dmt mode rather than ADSL2+ mode. The internet connection randomly drops out. I'll have a look at your line when i get in to work today and see what I can do to help. As advised at 8:30 last night, I have placed your line on some analyzers overnight. I am confidant we can fix your problem, but please allow me at least 24hrs to test things. I intend on calling you or providing some progress this afternoon and from my brief look at your line while I started the analysers it looks like we could resolve things fairly easily. We were experiencing some network issues yesterday that may have impacted speeds. Last night also it looks like had different issue again. Well lets hope that all the problems come at once and get fixed before the xmas period. Right at this moment there are no known issues network traffic is normal. I cannot see any issue on your line at this end so far. You appear to have had 3 stable sessions since you joined us, one for 14hrs+ and the other 2 for 2-3 hours each. This issue may have been related to the known outage we had on our network last night and sporadically yesterday. 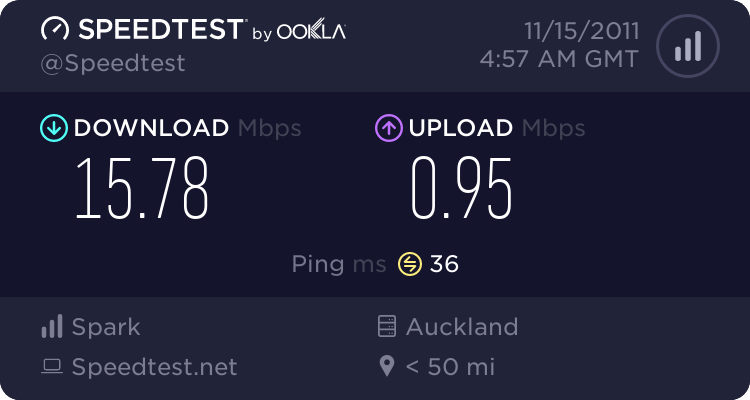 I note that from roughly the time of your post for the next 4-5 hours you were managing to download 2-3GB per hour during peak time which suggests things are a bit more stable now. Your downloading and uploading is quite high for this period so it is possible that the reason you were having problems browsing may also have been effected by this heavy usage (in a 7 hour period from 6pm onwards 2gb uploaded 14gb downloaded). If you like however I can place your line on further analysers and see what else I can investigate. It's possible we would need to call you and do some troubleshooting and possible get some testing details from you. 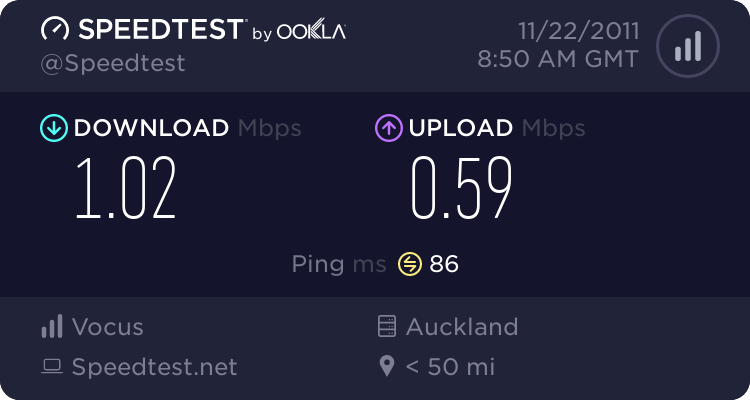 I switched from orcon to slingshot on November 22nd but most of time I can't even connect to the internet. Today I have to wait more than 5 hours to get online. After around 10 mins it drops out again. 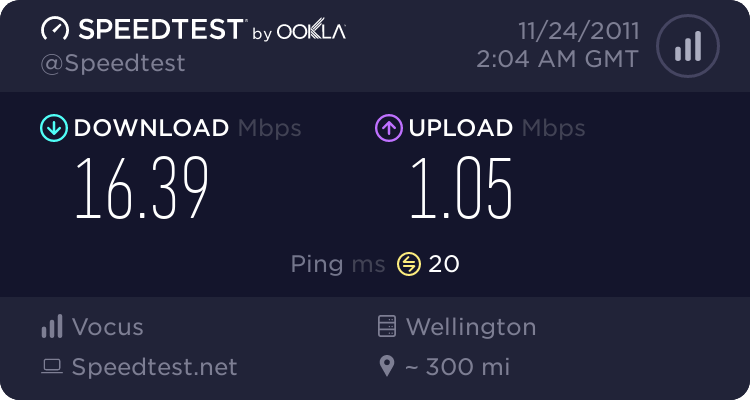 Loving my new unlimited connection; thanks Slingshot. 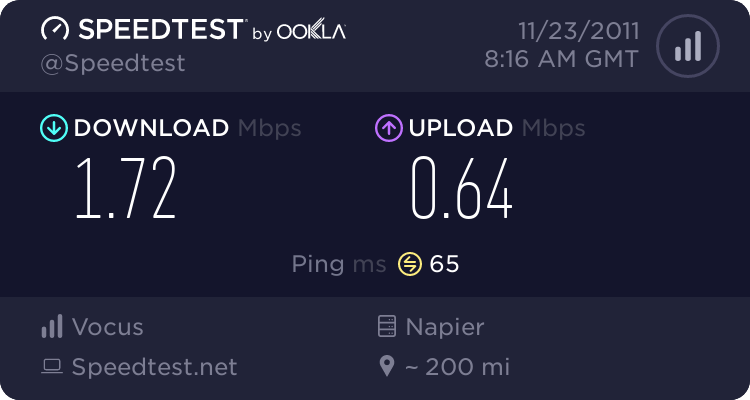 I am able to max-out my connection which I highly doubted I would be able to do on this new plan. 1.3MB/s - 1.5MB/s coming down constant. yes things have been much better today but it is off peak time, hopefully it will stay like this, will try again later this evening after 6pm and post results. 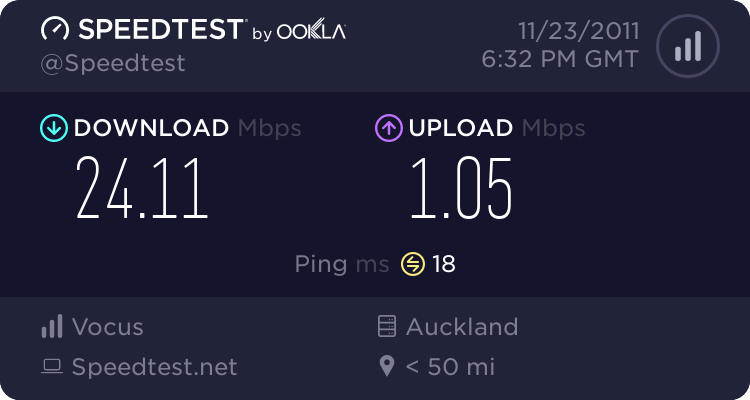 I must say that I never got these speeds with telecom, quite happy now as long as these speeds stay! look at that speed @@ i can only manage max 15mb/s wtih mine. Anyway I am just happy no more lag on youtube HD. kaljames79: Loving my new unlimited connection; thanks Slingshot. I am guessing you are either not in AK or your zone is not cabanised yet? 1.3 to 1.5 is rather slow for a cabinised area.